Meet Smash’s Newest Boxing Class Instructor & Personal Trainer! Smash Gyms is very proud to announce another awesome addition to our staff. 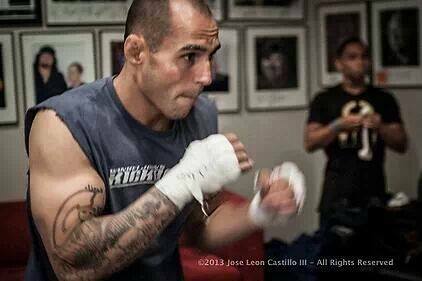 Imanuel “Manny” Rocha is martial artist, athlete and personal trainer. Manny’s passion for fitness and martial arts make him a fun and popular personal trainer and coach. His willingness to help people of all fitness and experience levels have helped him grow a loyal following of students and training partners. Manny Rocha Won his Boxing debut by KO! Manny once weighed 289lbs and through martial arts and fitness has discovered a path to reaching his potential. After losing 90lbs he is excited to give back what he has learned along his journey to the members at Smash Gyms. As a personal trainer Manny's work ethic is contagious! In his goal to become a well-rounded martial artist Manny has trained and competed in boxing, jiu-jitsu, tae kwon do, kickboxing and kenpo karate. He has trained with World Champion Kickboxer and coach Mike Winkeljohn, trained with world champion boxer Danny Romero, with MMA champions Nick & Nate Diaz, and BJJ Blackbelt Phil Torres. He has sought out the best coaching possible and looks forward to passing on his skills and knowledge to his students. Manny is teaching beginner friendly classes at Smash San Jose 5 days a week! Boxing at 7:30pm on Monday & Wednesday and 6:30pm on Fridays and Kickboxing on Tuesday & Thursday at 6:30pm. Kids Kickboxing and boxing coming soon. All the classes at Smash focus on providing you with a great workout, learning something and most importantly having FUN! Manny is now just as sought after for his personal training services at Smash as his striking skills. Manny specializes in helping women and men reach their fitness goals through motivating and affordable personal training sessions. His experience as a Personal Trainer with Golds Gym coupled with his versatile martial arts background makes for unique and fun fitness training sessions. He is a very popular trainer so call soon while he still has openings! Try a Free Personal Training session or a Free Week of Classes!